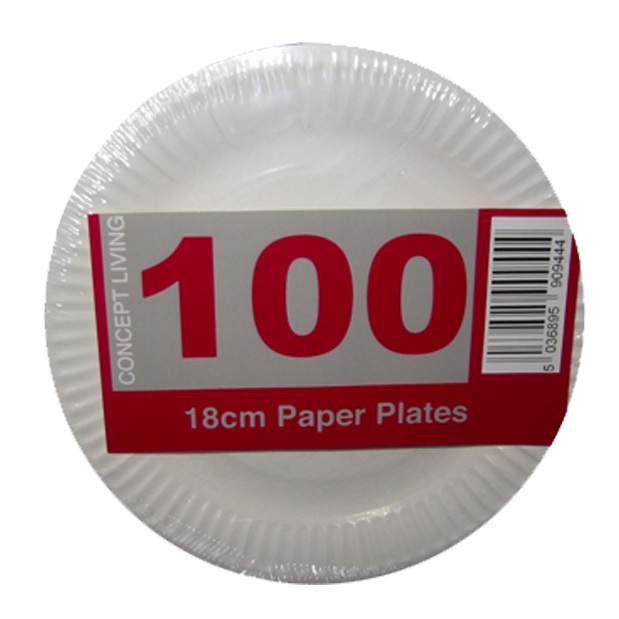 100 x economy disposable paper plates with a 18cm diameter. These are light duty paper plates and perfect for light snacks at parties etc. They are cellophane packed in 100's.